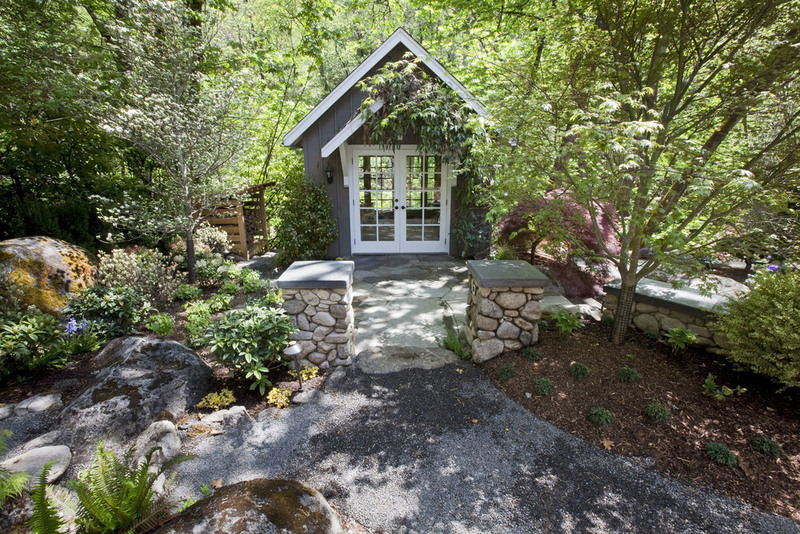 This private garden's amazing natural features were enhanced through a unique blend of formal and natural landscape design elements. 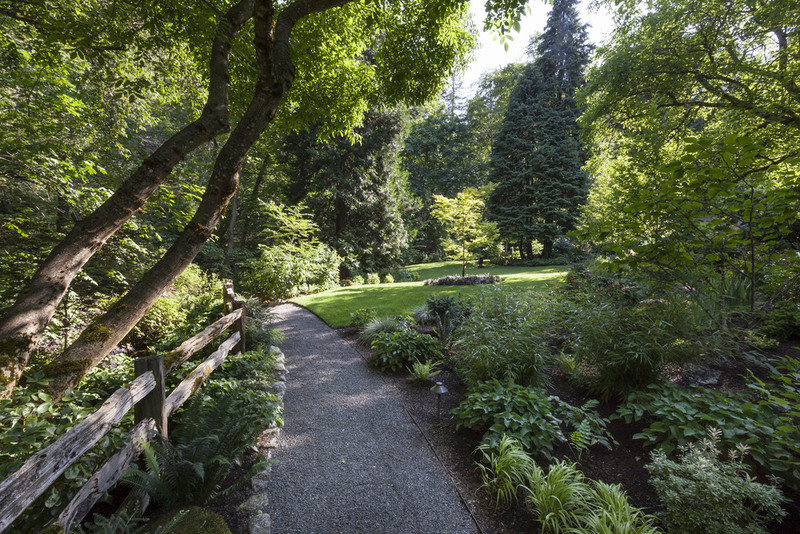 Working with extremely rare plants and trees that can only survive in the microclimate in and around Ashland's Lithia Park, Solid Ground Landscape created a variety of seamlessly connected outdoor spaces. 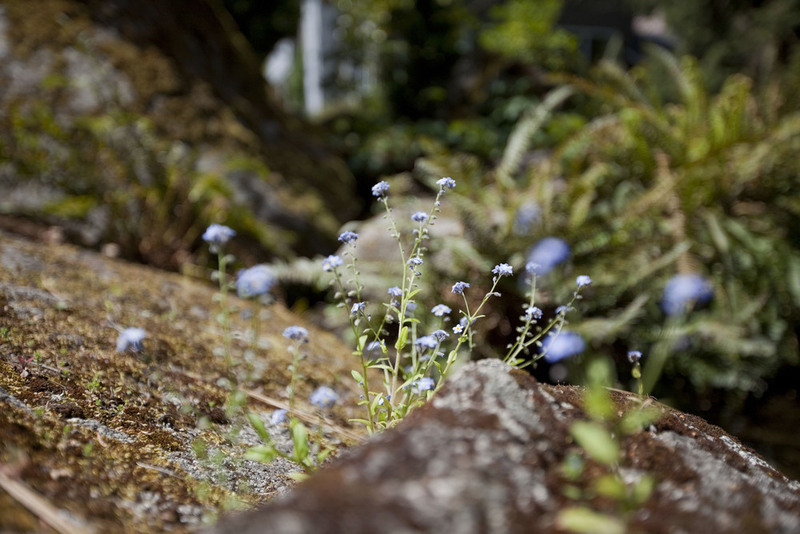 The water feature that meanders around 100,000 pounds of moss and lichen covered granite boulders draws directly from Lithia Creek. Africa soapstone artwork was integrated into the landscape, and custom hardscape work includes a hydronically heated concrete bench. Other features include original outbuildings dating from the late 1800's and a complex custom low voltage lighting system that uses a Graphic Eye controlling system for creating custom lighting scenes.